This is a very straight-forward classic French method for serving mussels. 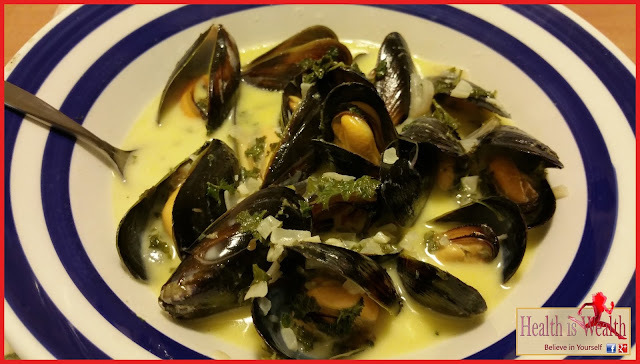 It takes about 25 minutes to prep and cook the mussels and this amount serves two. 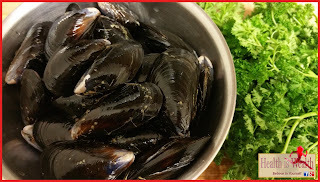 When cleaning and de-bearding the mussels, inspect each one, if a mussel is partly open give it a tap or a gentle squeeze and watch that the mussel closes its shell - the mussel does not need to snap shut but it should close, if the mussel does not close then discard it. 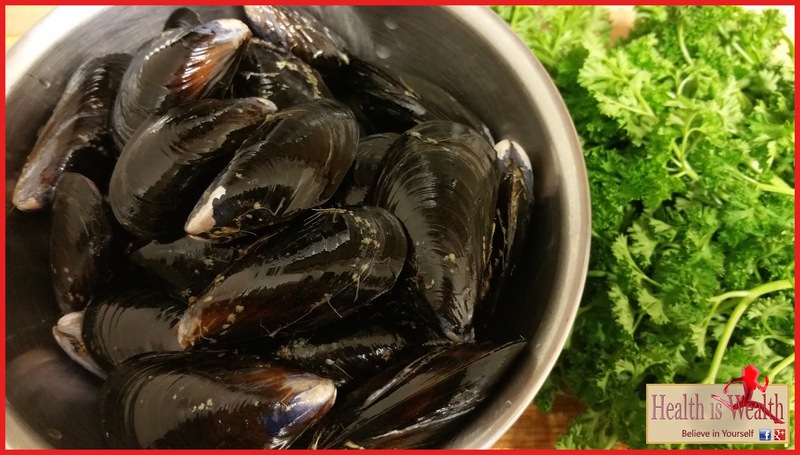 Similarly, discard any mussels that have not opened during the cooking process. The 'beards' are the wiry filaments that may protrude from a mussel shell, they take a little effort to pull out but do so - a properly pulled beard has a white tip of a root. 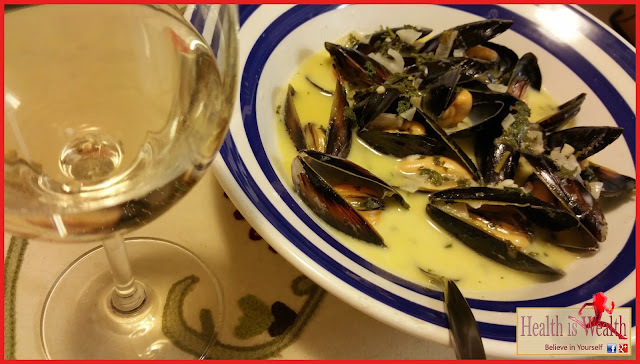 Chardonnay or Pinot Grigio are excellent choices for a dry white wine to cook the mussels in. Heat the olive oil in a large pot over medium-high. 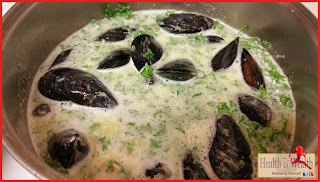 Add to the pot the mussels, wine, cream, butter and the parsley and season with sea salt. Cook until the mussels open and are cooked right through, about 10 to 15 minutes. Portion the broth between two bowls then divide up the mussels over the broth. Serve with a crusty bread such as baguette. Thanks for the share. It was really great. 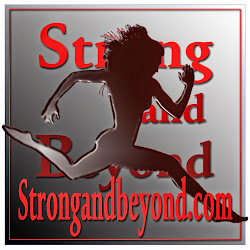 Welcome to Strong and Beyond! I'm Tini and my purpose with this site is to collect the best original content for you to peruse in one vibrant location. 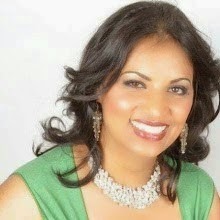 Explore, enjoy and feel free to comment on the articles and recipes! Let's build the community together, let's enrich each other's lives by sharing the content that I'm so proud to bring you!